Congratulations! Your beau has just proposed and it has only been a week but the family wants to know when and where the wedding is taking place. As a recently engaged lady myself, this can be an overwhelming thought. Does your event take place where your family is located in the New York City area? Can Aunt Becky and Uncle Joey find a hotel room during track season in August? Will Grandma be able to fly into Stewart Airport with the unpredictable northeast winter weather? Although the season and date are important to consider, so is the location of the big day. As an event planner with Mazzone Catering, our goal is to help create a memorable celebration for our clients and guests, no matter the location. 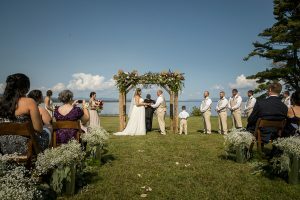 We have catered intimate weddings of 60 guests at a private residence in Albany, 200+ in the Adirondack Park and thousands more in between the many exits of the Thruway stretching from the Hudson Valley to Cooperstown. As one of our “friendors” Dave Bigler passionately said, “People today are limited only by their imaginations! There are so many creative companies out there that can take your ideas and make it a reality“. When your family hears the term, “Destination Wedding”, they immediately think white sandy beaches and flowing pina coladas. 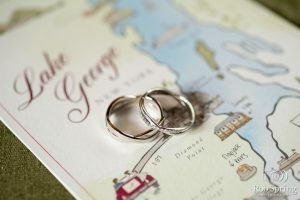 But when you consider the fact that half of all couples get married at least 200 miles from their home, a destination wedding may be closer than you think. 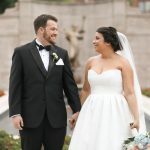 To me, your venue should not only be a place that you and your fiancé can envision family pictures to share with your future offspring and fur babies, but also a unique place that you and your guests will remember forever. Who said that creating an unforgettable experience for your guests can’t take place close to home? Being in New York State, we are lucky to have so many different and one of a kind regions that are a mere few hours drive in any direction. Do you love the glitz and glam of day’s past and boutique shops? Saratoga Springs is your place! Are you happy throwing your camping gear into the car and communing with nature for the weekend? The Catskills, Adirondack and Berkshire mountains are yours for the exploring. Can you picture yourself antique shopping and eating the freshest of farm to table goodies you can get your hands on? Then come on down to the quaint and intimate cities that pepper the length of the Hudson River. Any of these locations are a perfect opportunity to share a new place with your guests and somewhere that you will all remember forever. 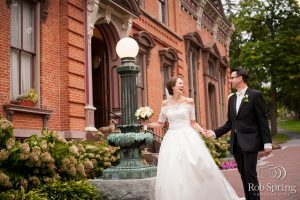 Wedding “destinations” outside major metropolitan areas are bursting at the seams with talent; offering the opportunity to create a unique experience for your guests. 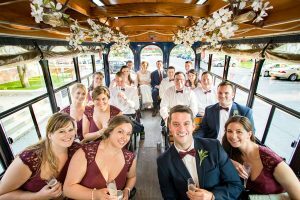 From photographers, florists and design companies to Airbnb rentals and converted historic Great Camps, you can create a wedding unlike any other your guests have attended. All the while, helping support local communities and economies by having 150 of your closest family and friends take over every hotel, restaurant and attraction within a 20+ mile radius. With so many decisions to make as part of wedding planning, choosing your venue might be one of the hardest. You have to strike the perfect balance; finding a place you love to celebrate with the family and friends you adore. A wedding is a one of a kind and unique celebration, just like our couples. No matter where you choose, our team can deliver the difference for you!